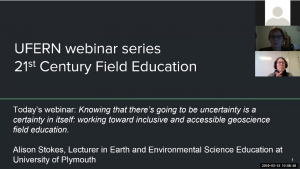 Episode 6 of our speaker series will feature Dr. Alison Stokes, In her talk “Knowing that there’s going to be uncertainty is a certainty in itself: working towards inclusive and accessible geoscience field education” Alison will present research into the experiences of students with disabilities participating in different styles of geoscience fieldwork, and discuss some of the principles for the design and delivery of inclusive and accessible geoscience fieldwork emerging from this work. 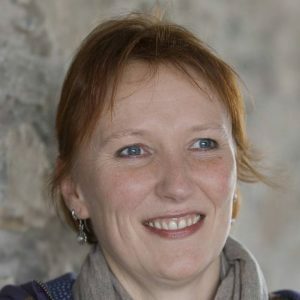 Dr. Alison Stokes is a lecturer in Earth and Environmental Science Education in the School of Geography, Earth and Environmental Sciences. She is also the Co-Lead of Diversity in Geoscience UK (DiG-UK), the recently-established UK chapter of the International Association for Geoscience Diversity (IAGD), from the University of Plymouth, UK. 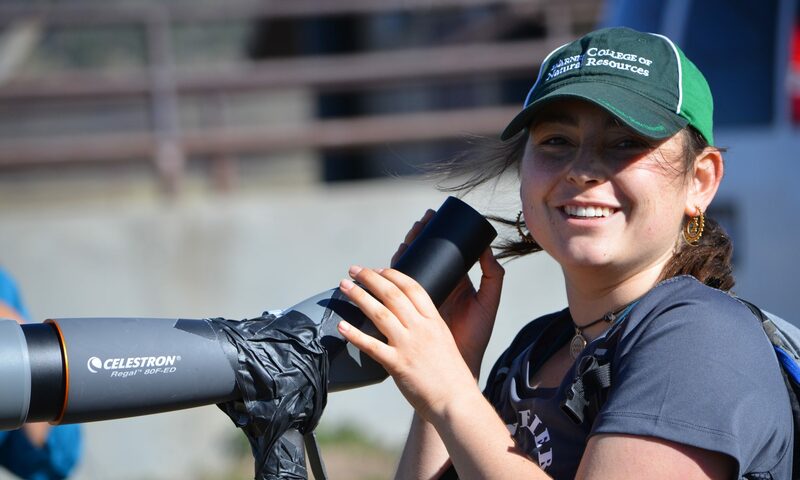 Alison has expertise in fieldwork pedagogy and her current research is focused around access and inclusion in the geosciences, particularly for students with disabilities.